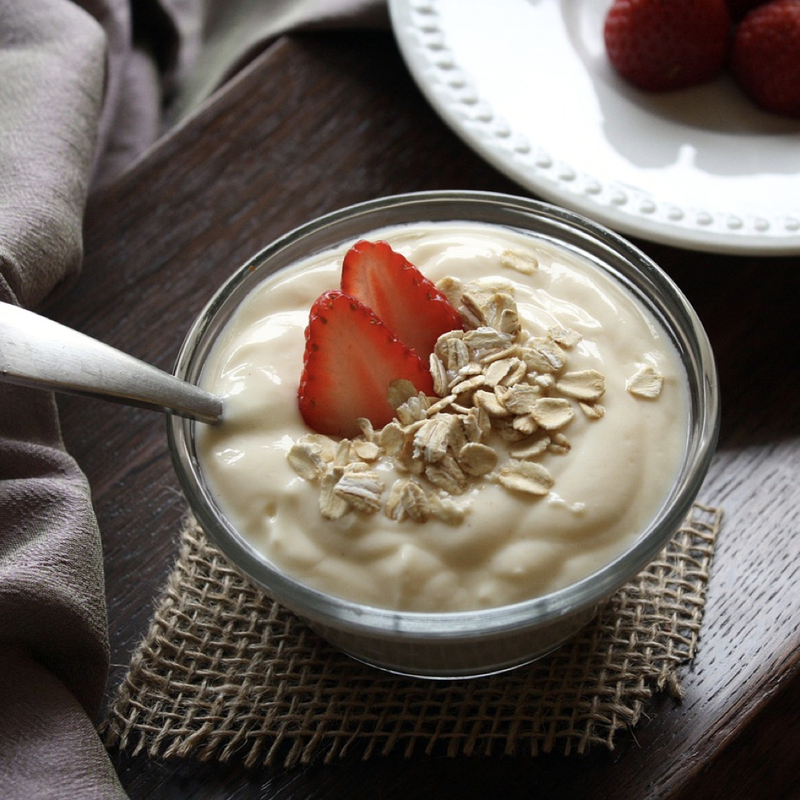 Probiotics, such as those in yogurt may reduce one’s risk of upper respiratory tract infection. However, dairy yogurt naturally contains up to 1-5% trans fats. Dairy yogurt seems to also be a poor antioxidant source. High fructose corn syrup, even some contaminated with mercury, is used to sweeten some brands of yogurt. Other yogurt additives may include food coloring made from crushed bugs and butterfat which may be more addictive than yogurt that contains no butterfat.